Ed joined Rotary in 2003 as a charter member of the Rotary Club of Greenville Evening. He served as Club President in 2006-2007. From 2009 to 2013, Ed served as Assistant Governor for Area 12. He served as District Membership Chair, the District Early Act First Knight Program Chair and as Chair of the District Foundation Grants. 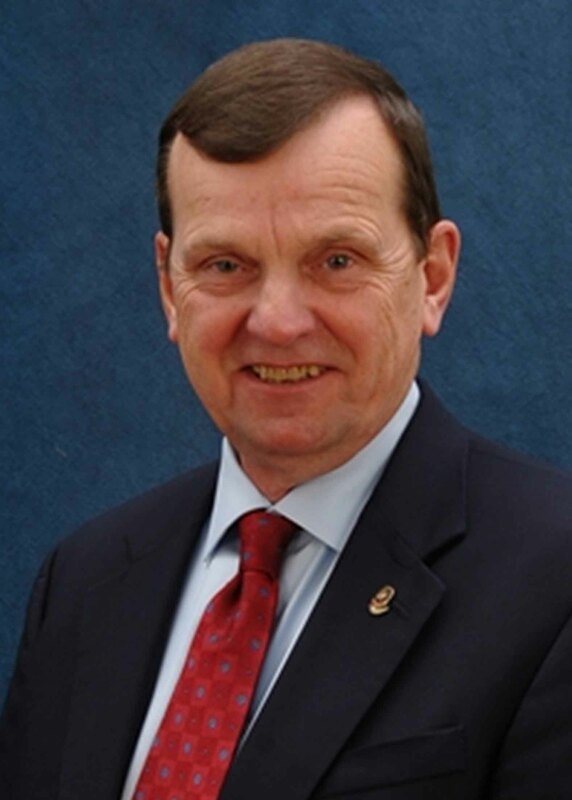 He has also served as a member of the Greenville Metro Membership Committee and an advisor to an Interact Club. He is a graduate of all three sections of the Rotary Leadership Institute. He is a Rotary Foundation Major Donor, a Paul Harris Society Member and a Bequest Society member. Ed retired as a Colonel after serving 30 years in the United States Army. He has a BS Degree from Clemson University and a Masters of Public Administration from Shippensburg University. He is also a graduate of the US Army War College. Ed is an Elder in the Presbyterian Church (USA) and currently serves as a member of the Foothills Presbytery’s Committee on Ministry. He and his wife Carol are weekly volunteers for Meals on Wheels. Allison – Married to Chad Van Iddekinge living in Tallahassee, FL with son Aiden and daughter Gretchen. Caroline – Married to Thomas Lee living in Carrboro, NC with sons Madoc and Jack. Edward – Married to Ellen living in Greenville, SC with daughter Lorelei and son Evan.